Boats take a lot of wear and tear over the years. They require a lot of maintenance and most of it is a lot of work. Over time there can be a very heavy accumulation of old anti fouling paint, or in other cases, it's could be due to a change of weather that you have paint flaking off your hull, or maybe you even traveled and the change of location affected it badly. Do not be dismayed! 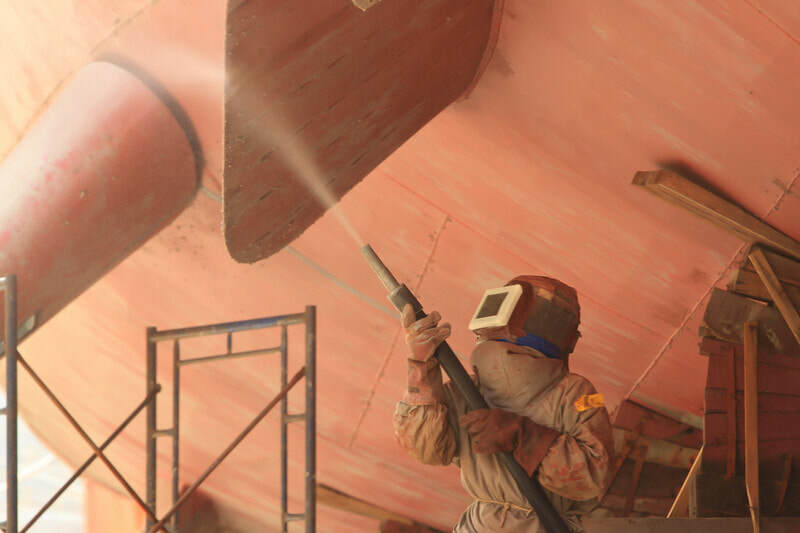 We offer boat sandblasting services and as we have come to be known for, excellence is our character. If you are not willing to sand off old bottom paint-which is very labor intensive- and also not ready to strip it off with toxic chemicals, we have just what you need! 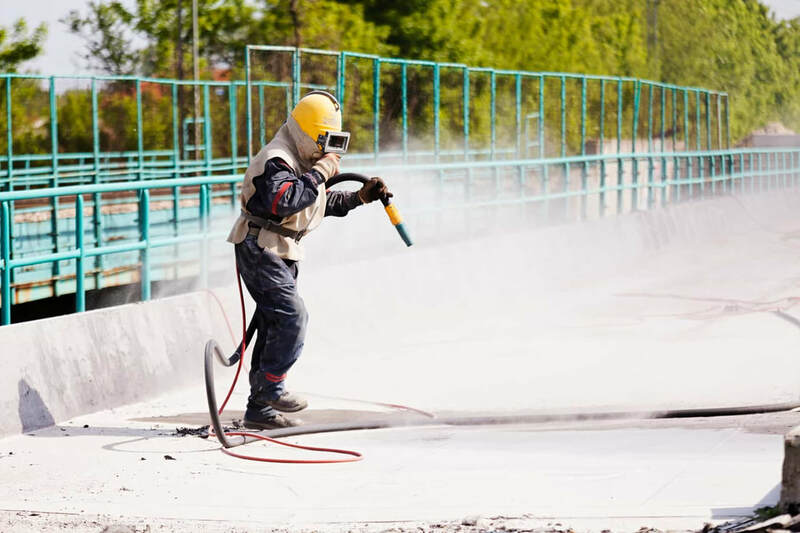 Apart from Sand blasting, we also carry out soda blasting and it is the current method of choice. ​The media used, which is simply bicarbonate of soda (that is, baking soda), is non-toxic and silica-free. Due to its water solubility and non-hazardous nature, the media itself can be rinsed away from the material blasted off a hull, thus greatly reducing the volume of waste requiring disposal. 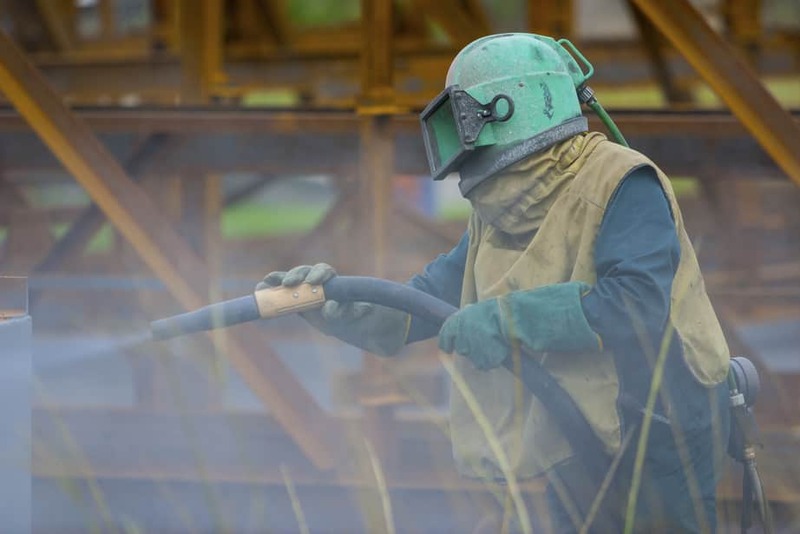 There is also another method which you might not have heard of for boat sandblasting. This method has an edge over other blasting methods because firstly, there is over 80% reduction in dust! That's a whole lot, compared to soda blasting. Secondly, closely related to a reduction in dust is the fact that the media can be recycled. A big part of any sponge blasting job includes shoveling spent media into a sorting machine that shakes the bejesus out of the little dirty sponges and separates contaminating particles from reusable media. And finally, there is drastically reduced rebound with sponge blasting. This makes it very suitable for jobs where blasting must be performed in close proximity to fragile features. The extreme flexibility of sponge blasting makes it appropriate for a very wide range of uses... From delicate antiques to hulls and heavy-duty rust! As mentioned earlier, depending on the type of hull, media such as beads, synthetic and agricultural products can also be used. All this is possible due to constant research in this area, seeking how we can always improve to make sure we deliver quality anytime and every time... This is our field. It is what we do! So the next time you need to restore the uniqueness of that hull, do not hesitate to contact us!